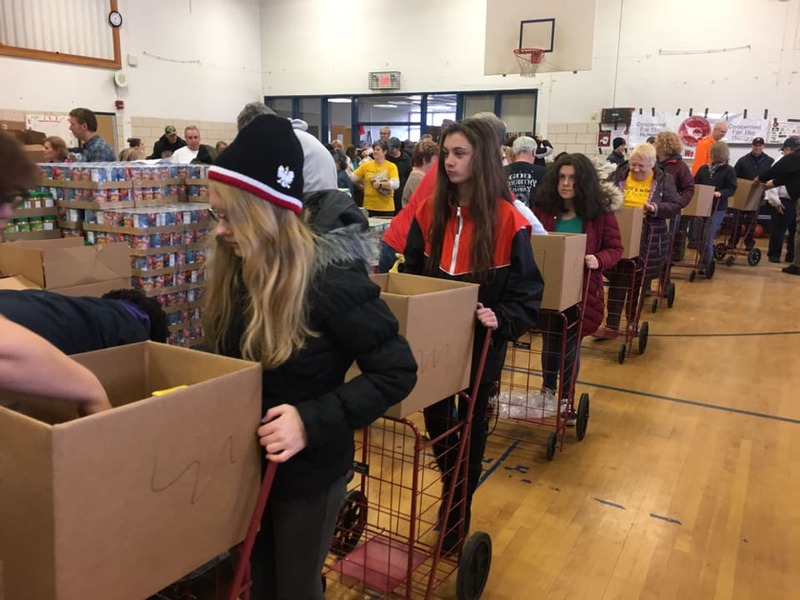 We packed Thanksgiving food baskets for families. 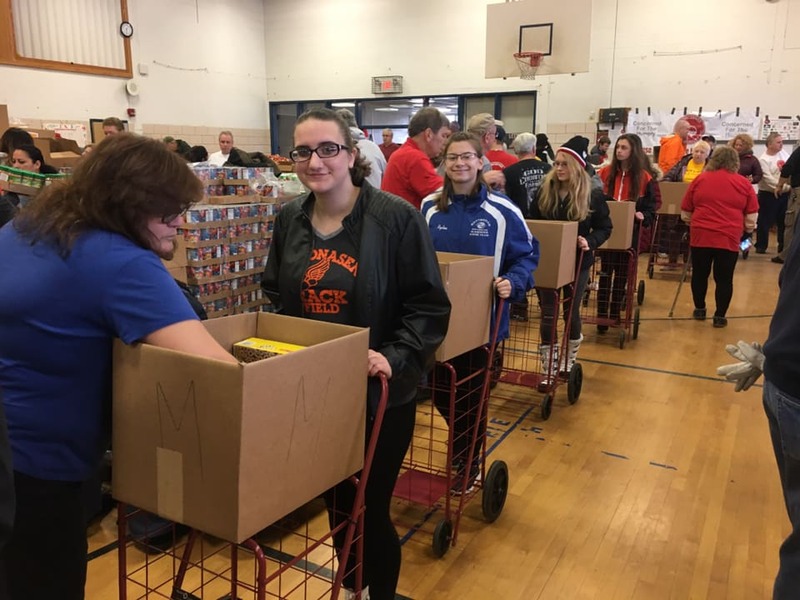 We took boxes and went from station to station filling the boxes with donated food items. 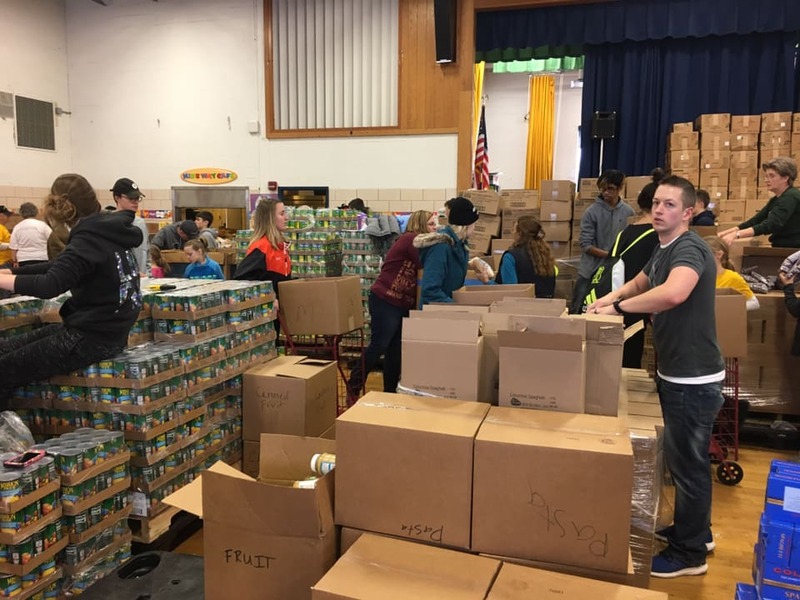 We chose this organization because they serve Schenectady County families (our school district is in the county). 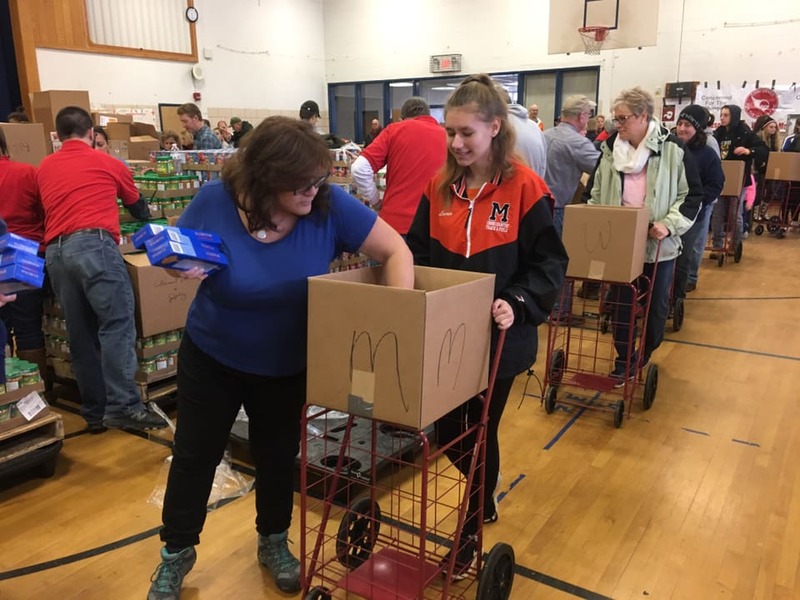 Approximately 40% of our students at Mohonasen receive Free or Reduced Priced Lunch (FRPL). 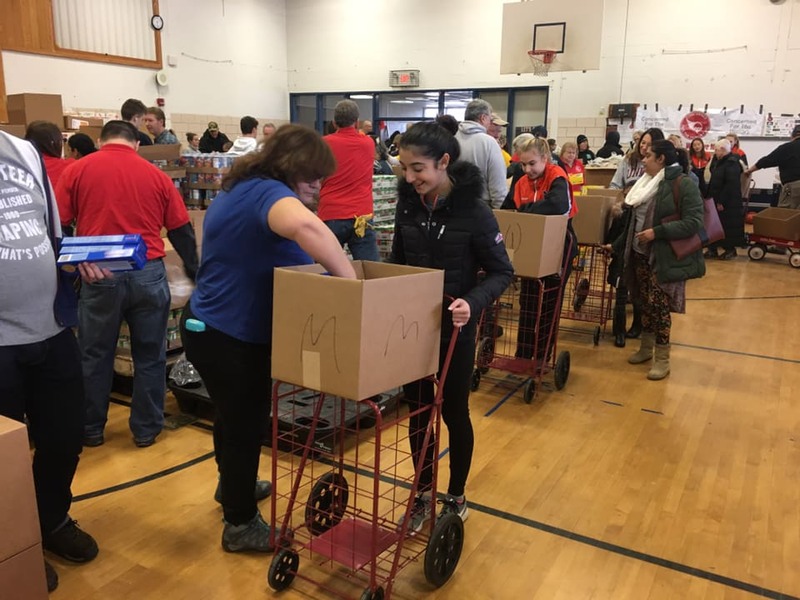 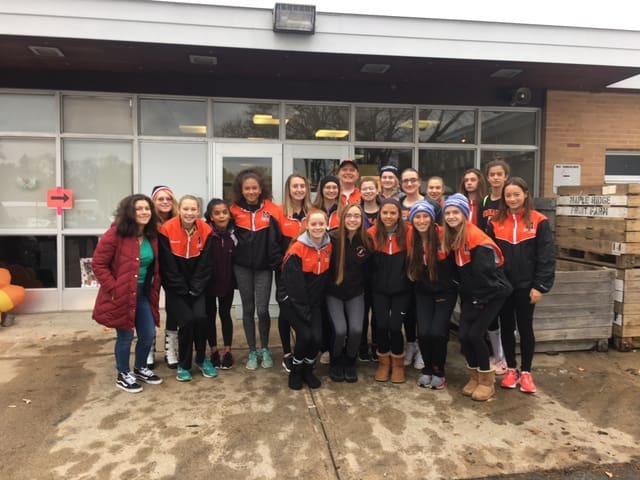 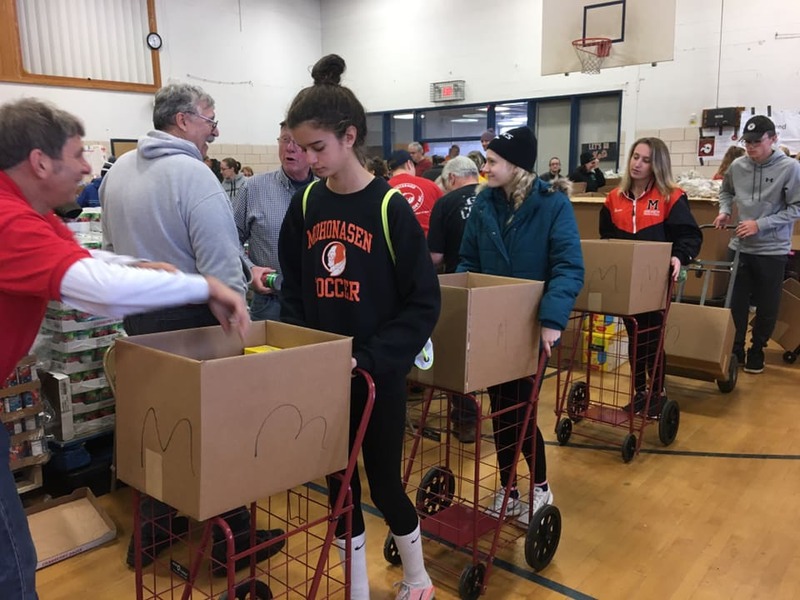 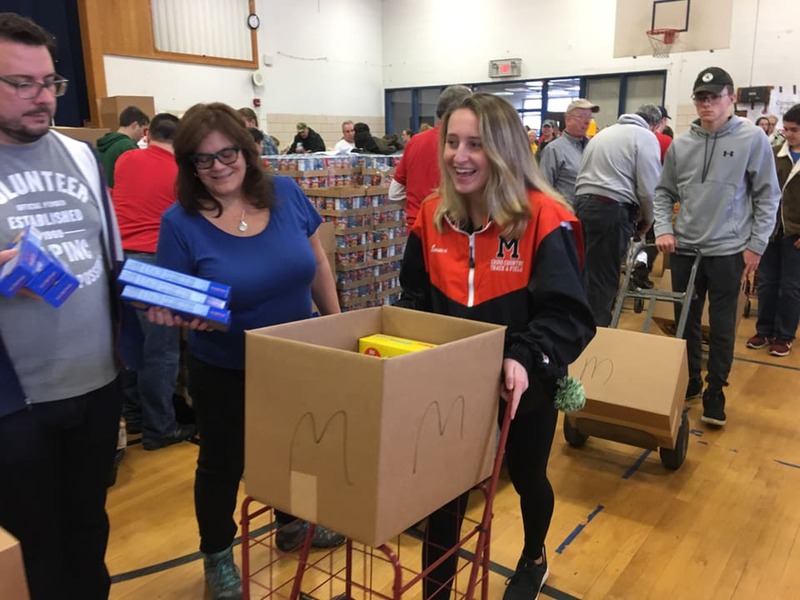 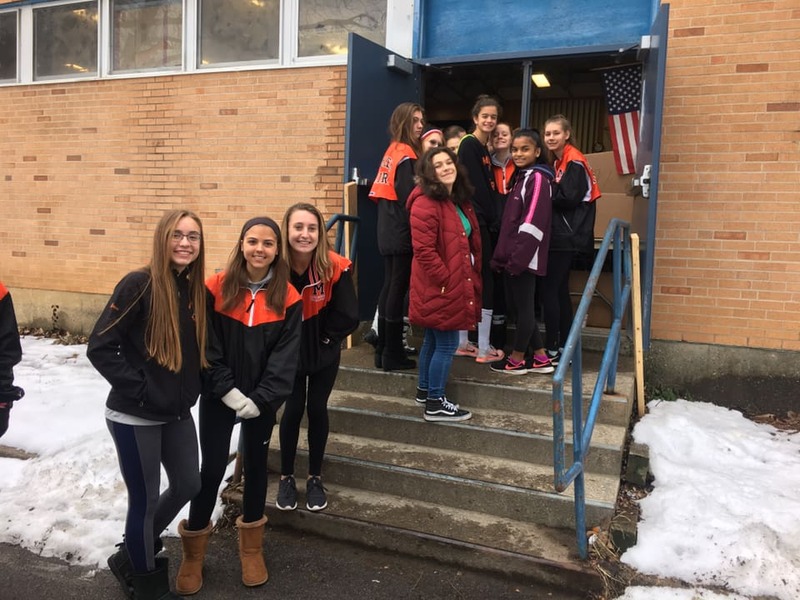 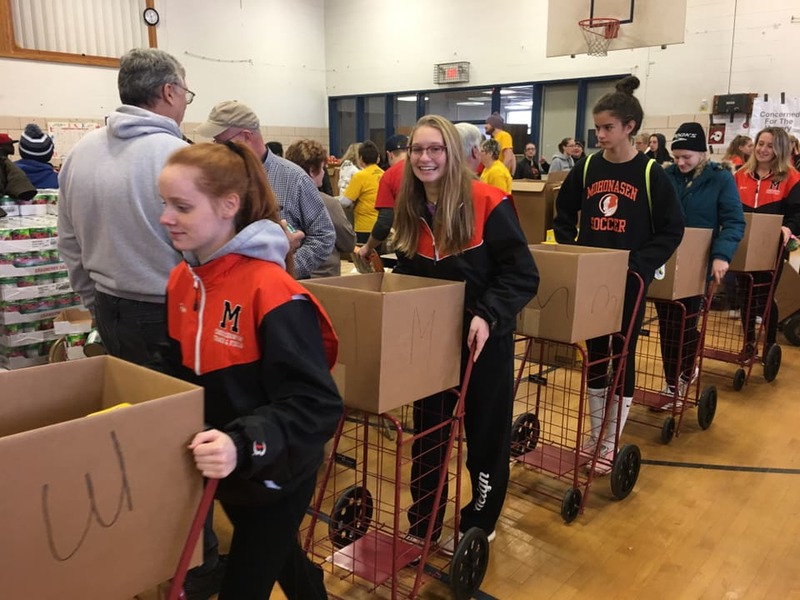 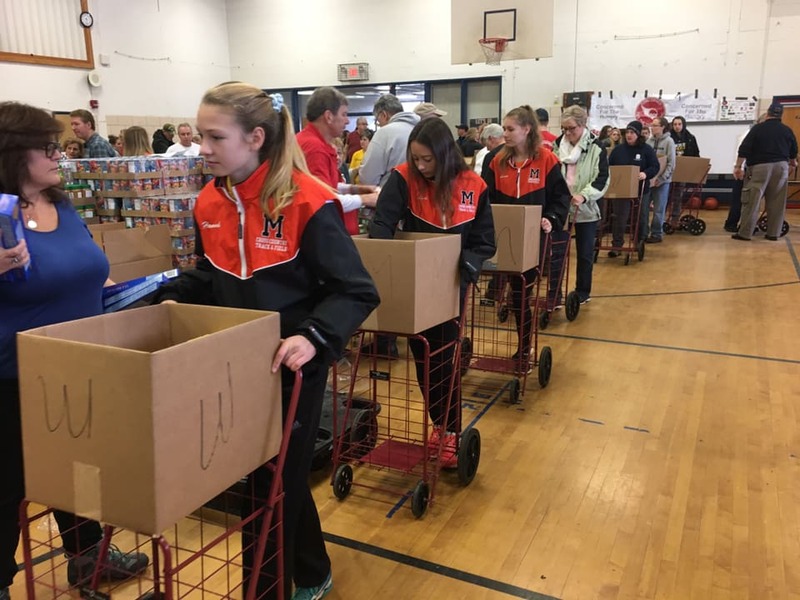 Our athletes are aware of the need in Schenectady County and wanted to help make a difference for families during Thanksgiving.